CFSI’s mission of improving the financial health of Americans requires collaboration and partnership with many diverse parties. As the Senior Director of Brand, Fawziah understands that business relationships are living, breathing things. They’re not born over exchanging facts by email – but through the human experience. Fawziah provides the strategic vision, leadership and executive management of CFSI’s brand, including digital strategy, events, and thought leadership. 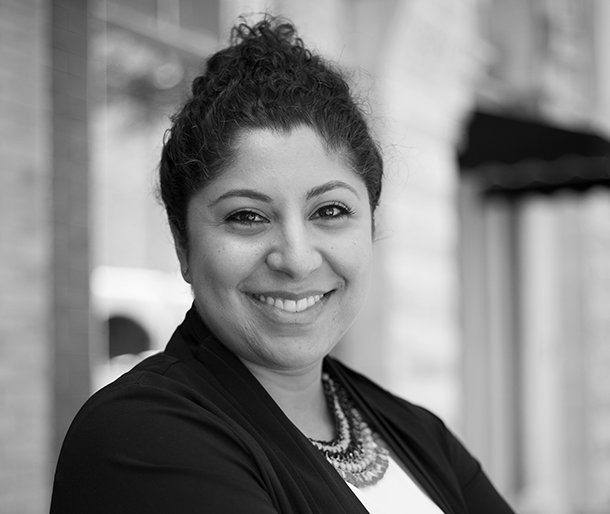 Fawziah has managed the overall experience of over 150 successful conferences, galas, and retreats including EMERGE: Financial Health Forum. Fawziah earned a Bachelor’s degree in Strategic Communications from The Ohio State University. When she’s not cheering on the Buckeyes, she’s reading, binge watching Netflix, or spending time with family.